Even though digital currencies like Bitcoin, or BTC, have been around for a couple years now, the majority of people still haven’t heard of it or know anything about it. Don’t feel ashamed or embarrassed that your not savvy in the field of crypto-currencies, as most of the population is still in the dark regarding them. Our Bitcoin 101 section will answer many of your questions about Bitcoin and hopefully help shed some light on the subject and provide you with enough education to be comfortable enough to start using and spreading the word about Bitcoin. 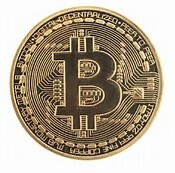 Bitcoin in short is a type of digital currency. Created by a person going by the alias Satoshi Nakamoto in 2009, Bitcoin has rapidly become one of the most popular crypto-currencies in the world today. Bitcoin is a “peer to peer “currency thus is traded from one person to another without the use of any middle man or banks. Because encryption techniques are used to verify and regulate the methods for generating and transferring the funds between parties, Bitcoin transactions are free and independent from banking and government regulations. 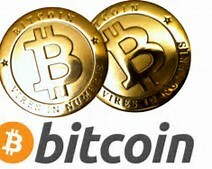 Bitcoin is gaining traction worldwide as a popular and seamless method for making purchases and services online. From ordering pizza to playing Blackjack at an online Bitcoin casino, shopping for a new pair of kicks or renting a vacation home, Bitcoin is rapidly becoming the “ go to “method of payment. Merchants love Bitcoin because it’s not tied to any particular countries monetary system, making international transactions cheaper due to fewer fees and being more fluid. Bitcoin can be bought, sold, and swapped on several marketplaces called “exchanges”. People hold their Bitcoin in digital Bitcoin wallets that are stored in your computer or in the cloud that go wherever you go. This enables people to send or receive these funds from any mobile device or computer. Bitcoin is basically like digital cash, so you can shop at a growing list of online merchants or at your favorite store. Because Bitcoin transactions are validated through blockchain technology, people and businesses choosing to transact in Bitcoin can do so without having to fill out lengthy forms or providing personal information. Buyers and sellers using Bitcoin can be assured that all their transactions are private and untraceable back to them. This feature makes Bitcoin and gambling a “no brainer “for those who like to keep their financial doings to themselves. I hope this page has shed a little light into the world of Bitcoin for those of you just starting to dabble in the crypto-currency space. Of course the complexity of Bitcoin goes way deeper than the overview I’ve laid out here. Be sure to dig in and educate yourselves with all the aspects of digital currency like Bitcoin. And if you enjoy bitcoin gambling like me, please look into doing so with Bitcoin for all the reasons I’ve mentioned throughout this entire website. Don’t be left behind and good luck out there!